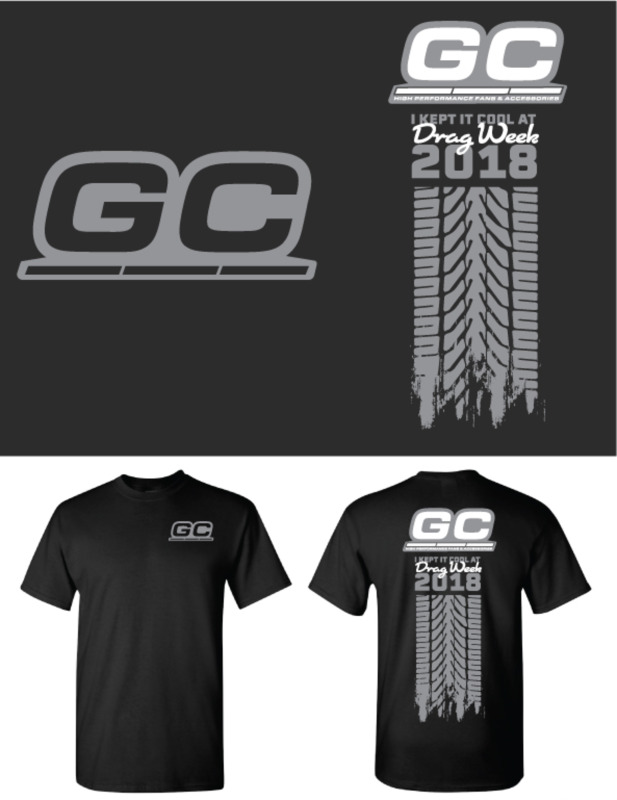 Score this all new Drag Week t-shirt! Our black T-shirts are made from 100% pure cotton and are preshrunk to ensure a great fit. Gildan brand, heavy weight, durable and comfortable, a GC tee should be the next "performance part" that you purchase for your wardrobe.